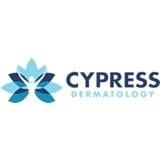 Cypress Dermatology (Cypress) - Book Appointment Online! Welcome to Cypress Dermatology, the practice of dermatologist Dr. Lauren Campbell, MD, FAAD. Our dermatology clinic in Cypress, Texas offers skin treatment options for acne, psoriasis, eczema, warts and other ailments as well as aesthetic (cosmetic) skin procedures and skin surgeries. Our practice treats skin conditions in patients of all ages (including babies and children) and skin types. Dr. Campbell and our staff take care to provide thorough consultations and the top level of care to treat you and your family's total skin care needs in a friendly and professional setting. Our number one goal: for you to love your reflection. If you suffer from skin imperfections that you want to change, contact our dermatology clinic today to schedule your appointment.